Game of Thrones is BACK! 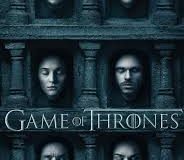 The twisted, beloved HBO series “Game of Thrones” will premiere its.. I consider myself to be somewhat of a television connoisseur so while I patiently wait..